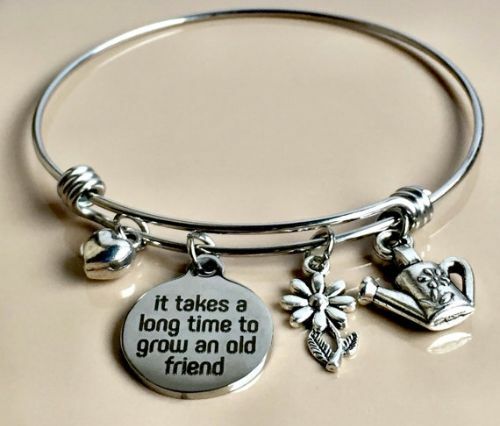 Best friend bracelets are becoming a trend for the young generation. Teenagers, pre-teens, and even millennials are having fun in exchanging these symbolic best friend bracelets in recent years. Anywhere you go, friendship can be found. A good friendship can start at home. You can have a sister and a best friend in one. The neighbor can be your best friend. At school, your seatmate, classmate, lab mate, and all kinds of mates can be your best friend. You can call them your sister or brother from another mother, your soul sister, or your BFF. Wherever you find that one friend who is willing to be your partner in crime and will be there for you in times of trouble, you are one lucky person! Not all people find a true friend so we are daring you. 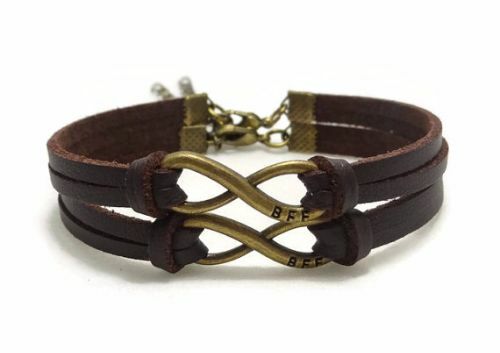 If you feel you have a true best friend, wouldn’t it be wonderful if you and your best friend have a unique friendship bracelet to symbolize your friendship? 4 What type of best friends bracelet set are you getting? 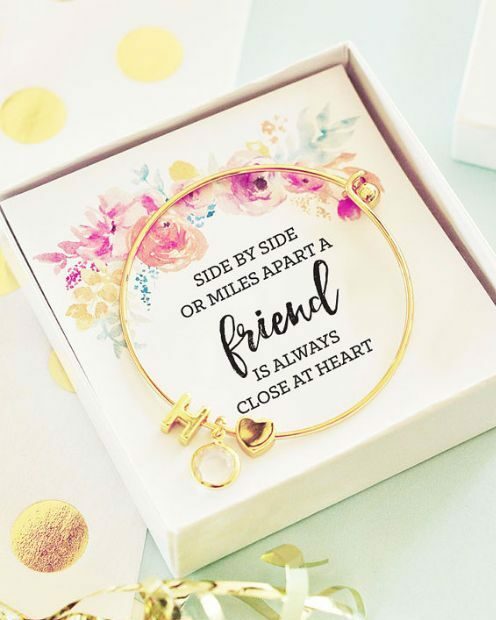 Here is a brief inspirational guide on why and how you can get the perfect matching best friend bracelet! 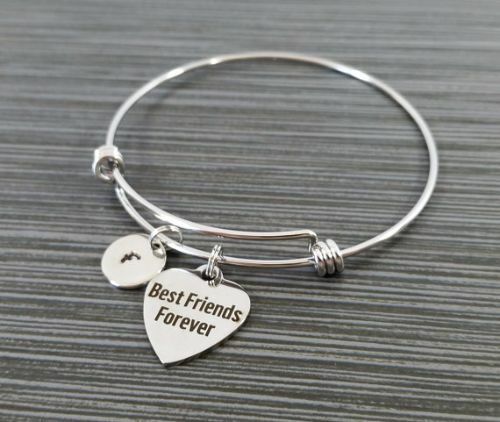 There are tons of designs and styles to choose from when getting the perfect matching best friend bracelets. 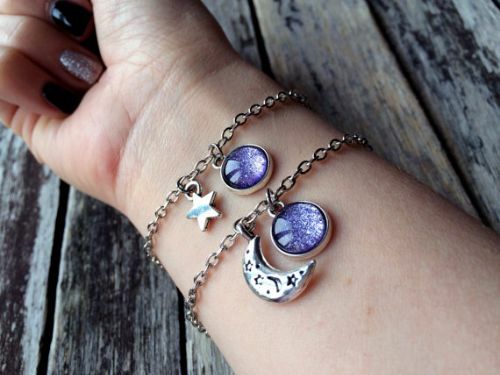 Here are some of the top designs people are crazy about when it comes to best friend bracelets. One of the most popular best friend bracelet trends among youngsters is the Shamballa bracelet. 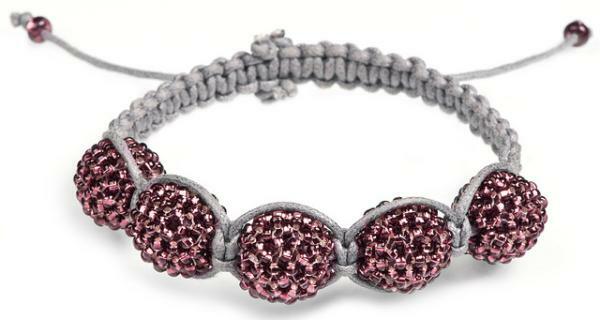 Shamballa bracelets are made of beads that are highly embellished with sparkling gems or stones. Shamballa beads are formed from clay. People also know Shamballa beads as disco balls. These disco balls or beads are placed on string cords. It is a fun and funky type of bracelet that is ideal for both kids and adults. Shamballa bracelets are generally inexpensive. However, the price may vary depending on the type of beads used and the design. Charm bracelets are also a crowd favorite because of its flexibility when it comes to styling. Think of any object and pattern now and you will surely find charms that represent it. The common charm designs are perfect for best friend bracelets are hearts, infinity symbols, stars, peace signs, feathers, birds, angels, and numerous more. 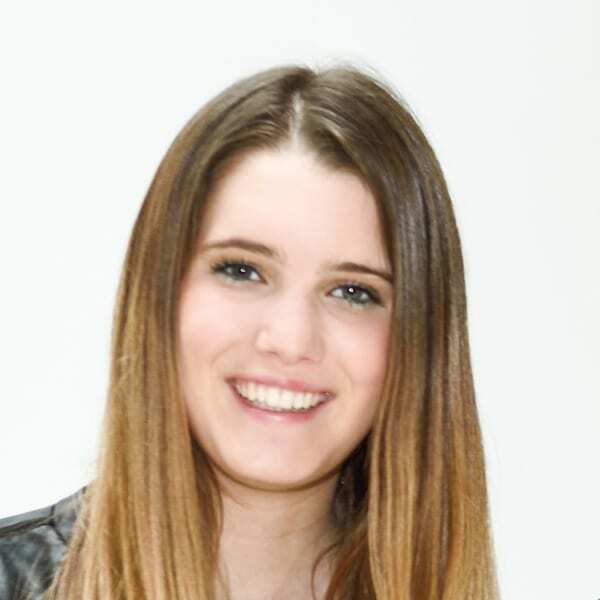 Charm bracelets have two main types: dangling charm bracelets and Italian charm bracelets. From the word itself, dangling charm bracelets feature small charms, trinkets, and keepsakes that dangle when worn. These types of bracelets feature a chain link where charms are attached. On the other hand, Italian charm bracelets do not feature dangling charms. Instead, charms are converted into beads so it can be crafted in one bracelet that looks similar to a beaded bracelet. Italian charm bracelets are a lovely alternative for dangling charm bracelets, especially if you find it annoying to wear noisy and heavy charms. Charm bracelets can bring a lot of fun for many groups of friends. The process of crafting the bracelet brings excitement, especially to teens. You can choose to have similar looks and design for the charm bracelet. You may also opt for different charms. Whatever your preferences are, you will surely enjoy charm bracelets! Beaded bracelets also make a great best friend bracelet for 3 friends. Beads are highly customizable. One of the most popular variations of beaded bracelets features alphabet beads. The alphabets can be used in spelling out your name or your best friend bracelet. Aside from being highly customizable, beaded bracelets are also very convenient to wear. Beaded bracelets are often crafted with elastic bands. These bands are durable and can stretch over the wrist. No need to figure out how the clasp will lock onto your wrist. Just slip it and wear it with pride. Beaded bracelets also require lesser maintenance. Jewelry makers use durable stones as beads. Other variations of beaded bracelets can be secured with a clasp. Some designs of beaded bracelets can feature special stones combined with small charms and adornments. If you want to reflect more of your personality and taste, you can get beaded bracelets that feature metal charms featuring patterns of stars, animals, hearts, and more. You can also opt for small bead or large beads. Whichever style you choose, you will surely enjoy pairing your beaded bracelets with watches. 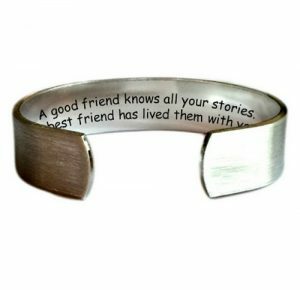 Engraved bracelets are a timeless and classic variation popularly used for best friend bracelets. 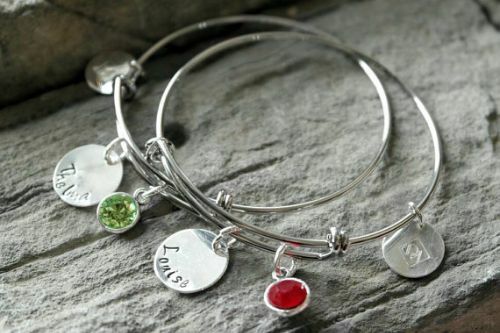 As long as your bracelet features a metal, it should be possible to add a personalized engraving to it. You may find popular bracelet designs combined with rectangular metal plates. Typically jewelers combine them with leather and suede. Their shape is often rectangular so it can follow that natural curve on the wrist. Other shapes of metals like round, heart, a triangle can also feature engraves. Jewelry makes add these on bracelets as a dangling trinket. 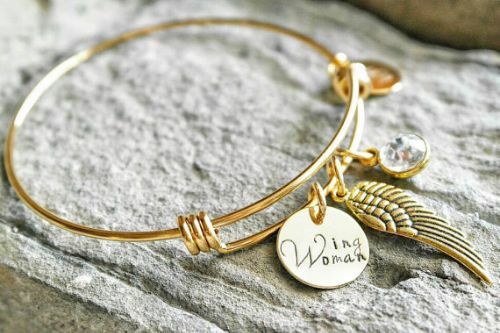 If you want to get more affordable bracelets, you can also opt for hand-stamped quote bracelets. 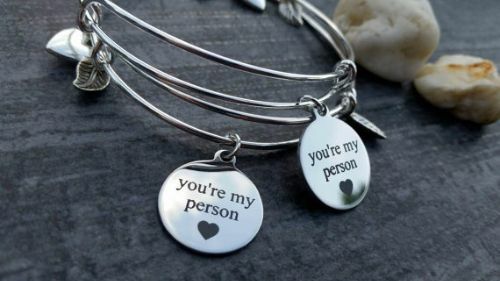 These bracelets can be bought with unique quotes stamped on them. 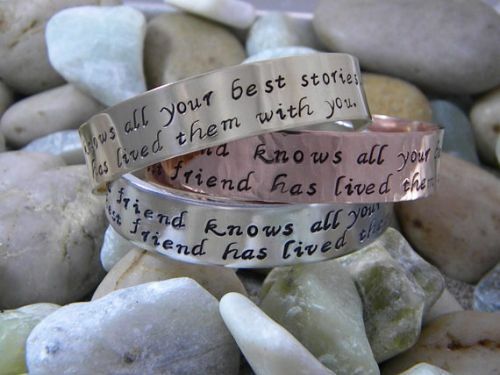 If the quote applies to your friendly relationship, hand-stamped bracelets can be an easy-to-get alternative. Newer options to mark metals and other bracelets materials are also available. 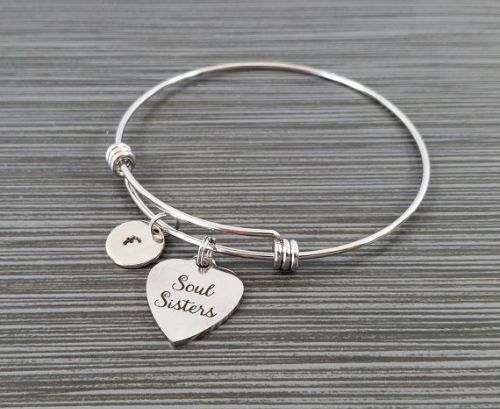 If you feel that engravings are too old-fashioned, you can try getting best friend bracelets that feature monograms. The curves and lines of monogrammed letter designs on bracelets are very attractive. Monograms are also used to design many wedding items. 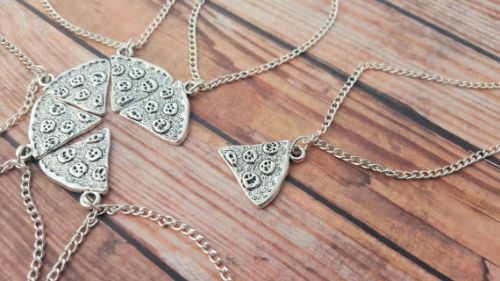 We are sure it would be lovely to get one for your bridesmaids. Another surprising trend people are trying on their best friend bracelets are Links of London bracelet. Links of London bracelets feature sterling silver chain links. Jewelry creators have connected and interwoven these silver links with a thread. This type of bracelet is more suitable for adults, grown-ups, or people in the late teen stages of their lives. It is also perfect for both men and women. These bracelets often feature sterling silver. The thread used to combine with the metal can come in different color variations. Aside from unique thread colors, Links of London bracelets can also feature minimal amounts of small charms. Woven bracelets are also ideal for best friend bracelets. Jewelry makers create it by weaving multiples thin strands of colored strings together. The weaving process is aimed to create a small sheet of fabric that features words, patterns, and designs that reflect friendship. They can be thick or thin. There are variations that feature beads and charms onto the woven bracelet itself. 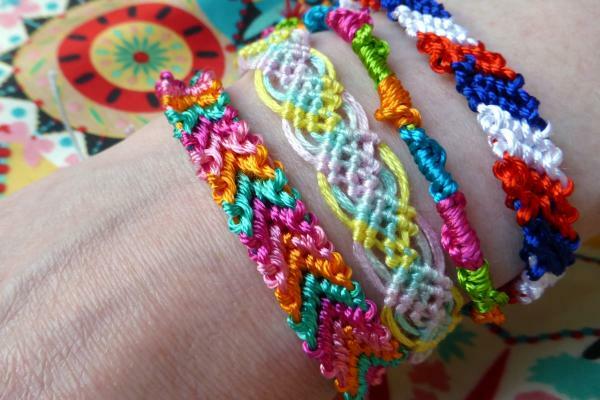 Woven bracelets are perfect for people who appreciate colors and patterns. These types of bracelets are often colorful too. Braided best friend bracelets are one of our favorites. They are simply gorgeous and fairly inexpensive. Braided bracelets can feature different materials. In fact, you can make your own DIY best friend bracelet. Jewelry makers use materials like colored nylon strings, colored leather strands, silk strings, colored elastic bands, waxed cotton, and numerous more to create it. As long as you know how to braid properly, you should be able to make one. If you do not know how to do basic braiding, you can always watch video tutorials on youtube or read DIY articles and blogs online. It will be more meaningful! When something special happens to your friendship, the bond gets stronger. 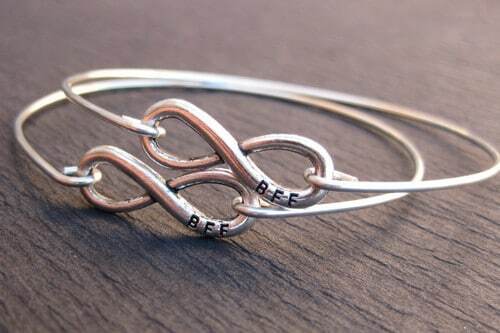 If you have been friends for a year or more, you can get best friend bracelets as an anniversary gift. You can also give it for your friend’s birthday. 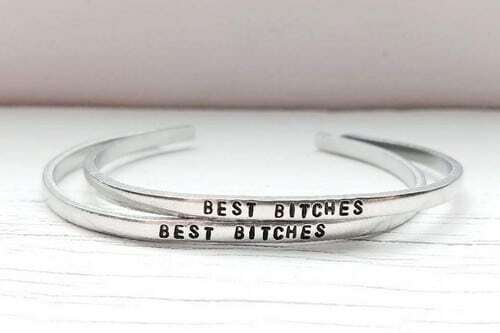 If you both have successfully gone through the hardships of studying and are graduating together, you should definitely mark it with a cool bracelet! 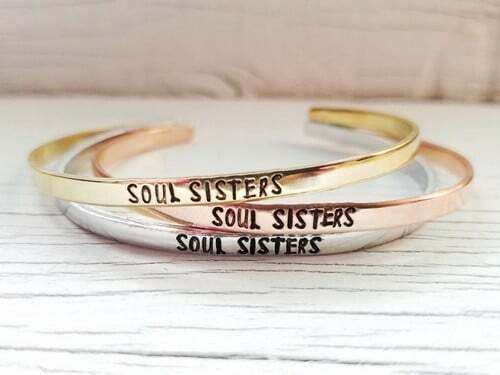 Whatever event or memory that you feel has made your bond stronger, best friend bracelets make a good way to express gratitude and love for your friend. 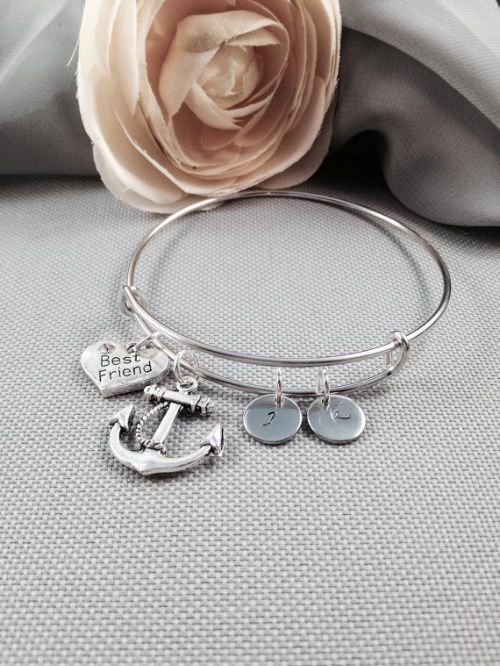 Since best friend bracelets are typically affordable, they make an ideal party favor. They can be used as a gift for wedding events. Brides have used it as a cool personalized party favor for bridesmaids. Celebrants can also use it for a birthday celebration. 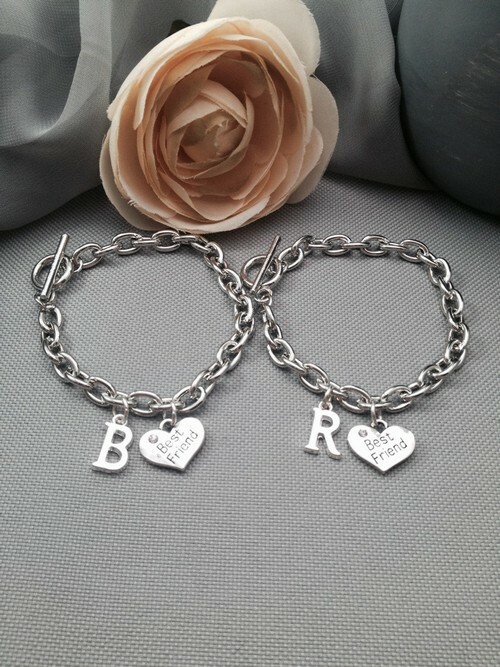 A debutant can use best friend bracelets as a favor for her 18 candles. 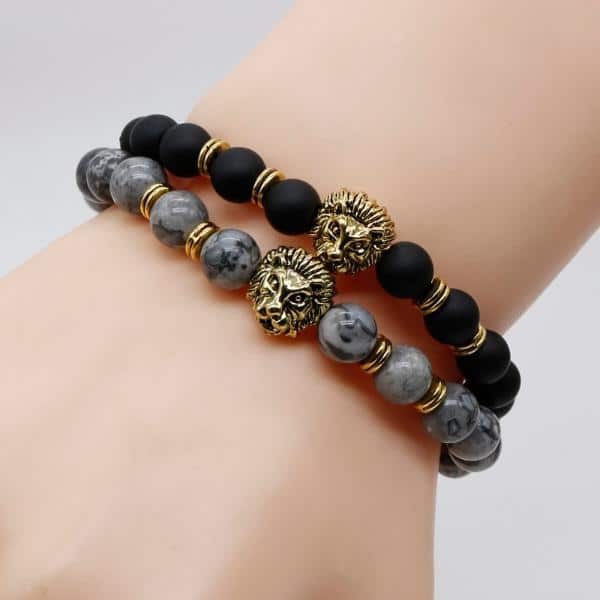 Whatever type of party you are through for your friends, do not miss to consider best friend bracelet as a memorable giveaway. These are easy to wear bracelets These will be a good reminder of your relationship and bond with your friends. 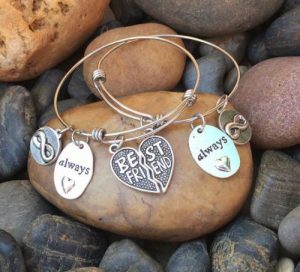 Best friend bracelets are personalized but they still come in many different variations. 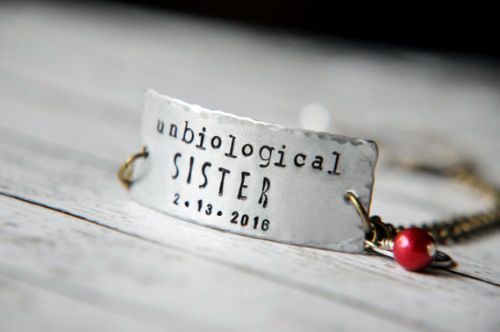 With the ubiquitous options for best friend bracelets for 2, you will simply be able to find the one that suits your personality, style, and preferences. Not all best friends have similar personalities, taste, and style, but you will probably have some similar tastes. After all, they say that birds of the same feather flock together. There’s got to be something that is similar to you and your best friend. Once you identify it, you should start your search for the perfect best friend bracelet from there. 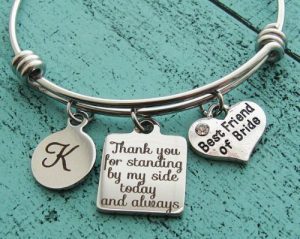 Most jewelers allow personalization on best friend bracelets for 4. It is always better to give personalized gifts as they make any gift extra special. 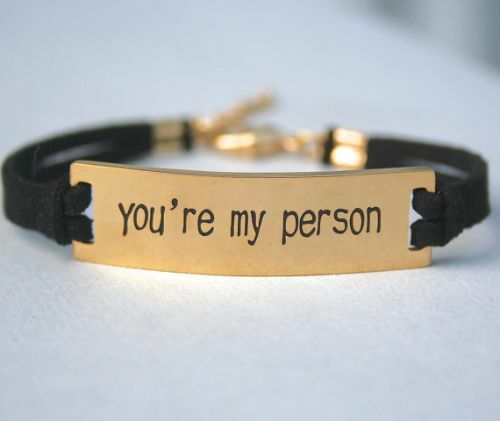 For best friend bracelets, nothing can top the trend of personalization. Pre-teens and teens tend to find customizations fun and exciting. It allows them to freely express themselves. 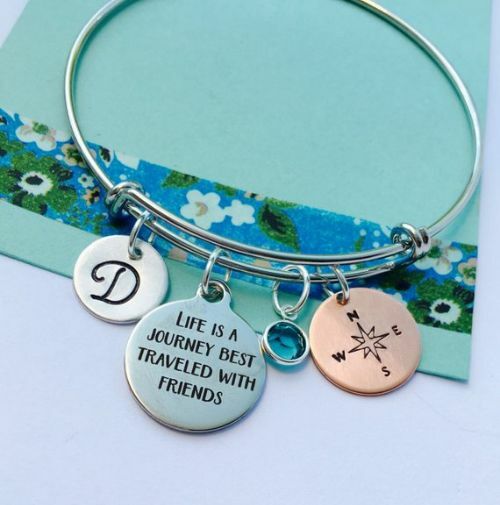 They can mix and match significant quotes, trinkets, designs, charms, letters, and beads in a bracelet. Custom designs can be done by imprinting text designs. 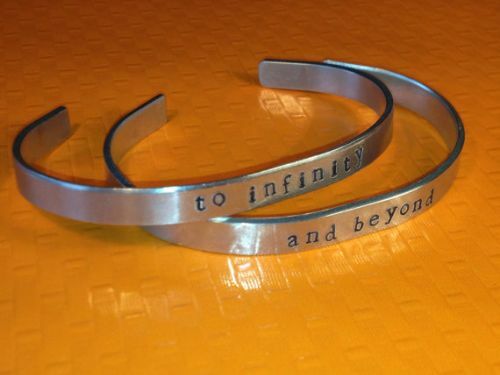 Text can be added to the bracelets via monogram, hand-stamp, and engrave. 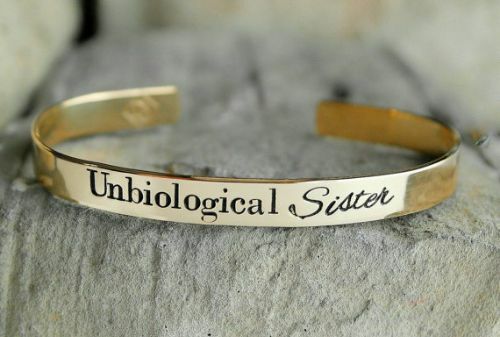 There are a lot of other ways to customize your best friend bracelets. Once you find one that suits your personality, grab it right away! 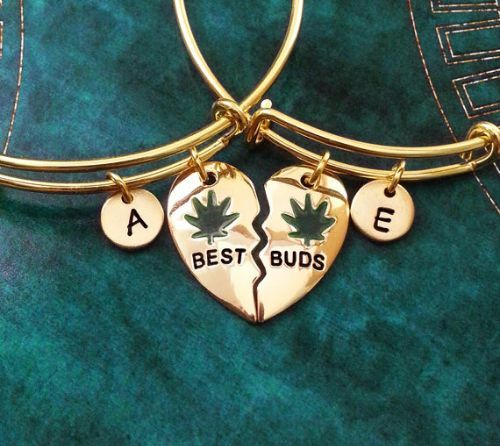 What type of best friends bracelet set are you getting?